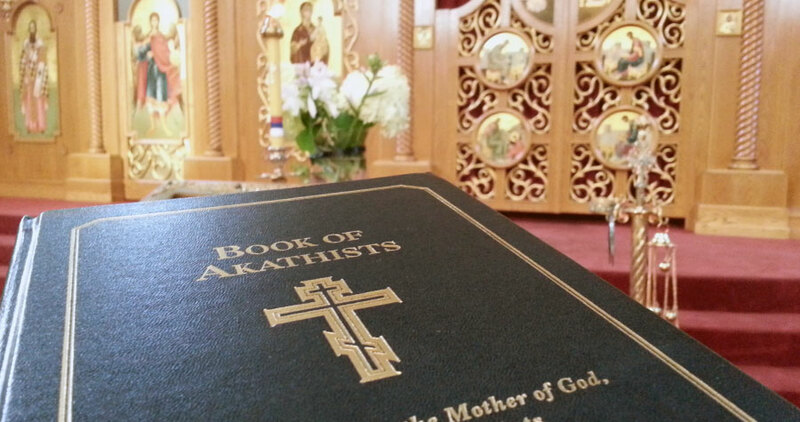 Join us this Thursday, Jan. 14 at 6:00 p.m. at St. Sava Church in Merrillville, Indiana for our weekly Akathist prayers (Click here to learn more about the Akathist prayer services at St. Sava Church). This week we offer praises for St. Basil the Great (January 14 according to Gregorian Calendar and January 1 according to Julian Calendar). This week’s Akatist is dedicated to St. Basil the Great. St. Basil was born about 330 AD. He spent fifteen years studying philosophy, rhetoric, astronomy and other contemporary secular discipline. Among his fellow-students were Gregory the Theologian and Julian, later the Apostate emperor. He was a Bishop Caesarea in Cappadocia for nearly ten years, an died at the age of fifty. He was a great champion of Orthodoxy, a great torch of moral purity and zeal for the Faith, a great theological mind, a great builder and pillar of the Church of God. Many of his writings survived such as theological, apologetic, on asceticism and on Canons (Church Law). There is also Liturgy that bears his name. This Liturgy is celebrated ten times in the year: on January 1/14, on the Eve of Christmas and Theophany, on every Sunday in the great Fast with the exception of Palm Sunday, and on the Thursday and Saturday in Great Week. St. Basil departed this life on January 1/14, 379.